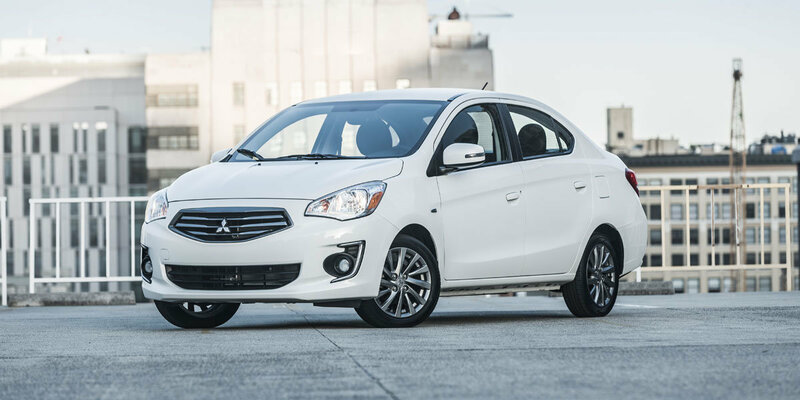 The all-new 2018 Mirage G4 is fun to drive, fuel efficient, and loaded up with tons of features and technology. Morgantown drivers will be looking for any excuse to get behind the wheel of this sedan. Just because you’re purchasing a sedan doesn’t mean you need to give up space for passengers and gear. 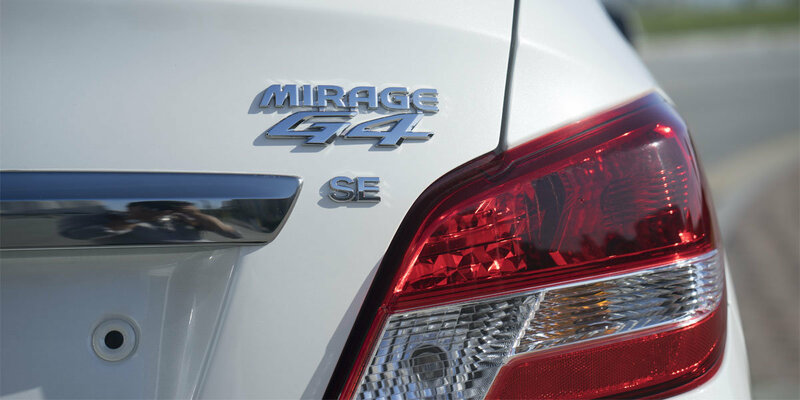 The Mirage G4 gives you best-in-class legroom and plenty of cargo space so longer trips are a breeze. When driving the G4, you won’t get distracted by your smartphone due to this vehicle’s available Display Audio with Smartphone Link. Connect your phone to access Apple CarPlay, listen to music, navigate, make phone calls, and send texts—all by using your voice. 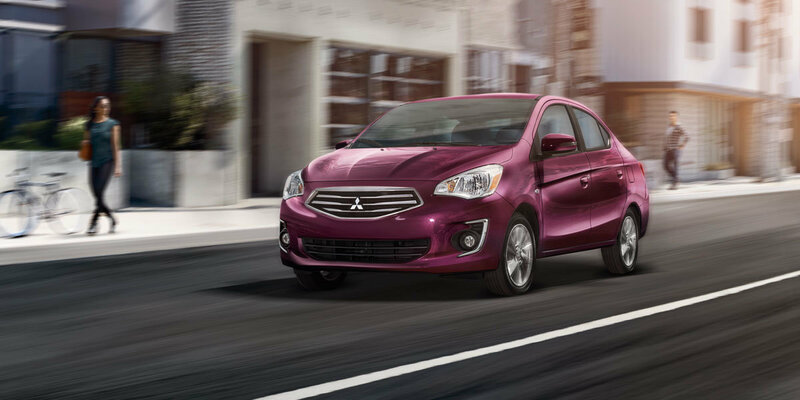 Check out the 2018 Mitsubishi Mirage G4’s features in person at Morgantown Mitsubishi. We can’t wait to help you find the car of your dreams whether it’s this vehicle or one of our other new or used Mitsubishis. Infotainment screen size: 7 in. Infotainment screen size: 6.5 in. Includes exhaust finisher, scuff plates, black leather and aluminum shift knob, cargo mat and cargo net. Includes 6.5 inch smartphone link display audio system with am/fm/cd/mp3 capability, apple carplay and android auto, 15 inch dark chrome alloy wheels, leather wrapped steering wheel, and cruise control. EPA mileage estimate for CVT-equipped models. Actual mileage may vary. All coverage terms are from the original in-service dates, and are applicable only to the original owner of new, retailed models purchased from an authorized Mitsubishi dealer. Subsequent owners receive the balance of the New Vehicle Limited Warranty of 5 years/60,000 miles. See retailer for limited warranty and roadside assistance terms and conditions. Apple CarPlay, Siri, Apple Music and Apple Maps are trademarks of Apple Inc., registered in the U.S. and other countries. Android Auto, Google Play and other marks are trademarks of Google Inc. Calculations are based on an average of 15,000 miles driven per year, an average cost of $2.00 per gallon of fuel, national average prices for the commodities listed and the average estimated MPG for category competitors. All calculations are approximate and for illustration purposes only.